Fans of the Ourburystedmunds spectacular Wolf Trail artworks will have a chance to bid for ownership of their favourite in two special auctions as the popular trail comes to an end. The 26 wolves, created by local artists, were on display to celebrate the legend of St Edmund’s wolf, which is said to have guarded King Edmund’s head after he was captured and killed by the Danes. An auction of some of the artworks, which will raise money for various charities, will be held on St Edmund’s Day (November 20) with sealed bids invited from prospective purchasers unable to attend in person. The remaining wolves being sold will then be auctioned on December 5. 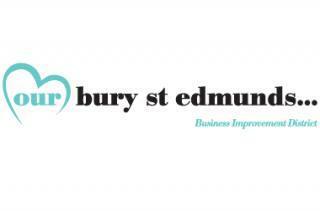 The art trail was made possible thanks to the Business Improvement District (BID) organisation Ourburystedmunds, working with partners who make up the ‘Town Team’ group. It has brought thousands more visitors into the town since it was launched, with many attempting a competition to find all of them. Chief Executive of Ourburystedmunds Mark Cordell said: “The Wolf Trail has been a huge success and the people of Bury St Edmunds have really taken a number of the wolves to their hearts. Now we have a chance to raise substantial sums for charities and allow people to own a unique piece of artwork at the same time. The gala evening will be held at The Athenaeum and the auction will be conducted by Ed Crichton of Lacy Scott and Knight, who will also host the second sale of the remaining artworks at their saleroom on December 5. A form for both auctions, detailing how to bid, can be found here or in tourist information points. Tickets for the St Edmund’s Day Celebratory Dinner, which cost £40 and include a reception drink and three course dinner, must be purchased by Monday November 9 from the Mayor’s office at St Edmundsbury Borough Council.